Someone who is going to purchase your own bakery or become a Baker, it will be interesting to learn all the stages of baking bread the industrial way at specialized institutions. The production of finished products in the bakery is divided into sequential phases: mixing the ingredients for the dough, it will rise with the dough, divided it into parts for articles, the formation of products baking in the oven. Opara is a liquid leaven, which is formed by mixing yeast, warm water and flour. Thanks to the sponge method of bread making in bakeries finished products are still fresh, becomes more lush. In modern bakeries, the dough is prepared on a specific hardware, which is fully automated. The whole process of making the dough lasts from 13 to 16 hours. The finished dough is discharged into a travelling bowl is called the bowl. In the dough are added as required according to the recipe ingredients. The weight of the ingredients is checked on the electronic scales. Then follows the process of mixing the ingredients in the mixer. To do this, the bowl rolls under it, is installed under the device. When mixing the ingredients on the dough mixer, bakers also can add ingredients during the process. From the mixing depends on the homogeneity of the test, its friability, taste, so the thoroughness of this procedure can only provide modern equipment. The dough after mixing allowed to stand for 12 to 30 hours. Keeping maturing time depends on the recipe of the product. 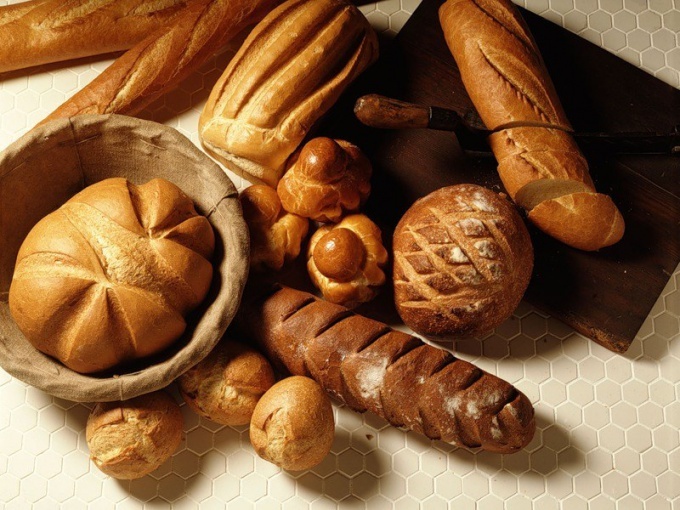 Some bakeries can reduce the time of keeping maturing, adding bread artificial flavor enhancers and flavorings. However, this bread quickly grow moldy and spoiled. The next step is dividing the dough. To do this, from the bowl the dough is sent through a machine to divide the pieces of bread the size you want. Equipment set automatic parameters of the mass of each piece. Operators placed the cut pieces of dough into shapes. If the bread is of irregular shape (such as a baguette bread), the dough is placed on a special frame (Osadchii), after which will load into the oven. It is time for proofing bread in the forms or framework. After this process frame and shape the dough put in the oven for baking. The finished bread is removed from the oven, shake with it once the flour and placed in trays for transport to the stores.